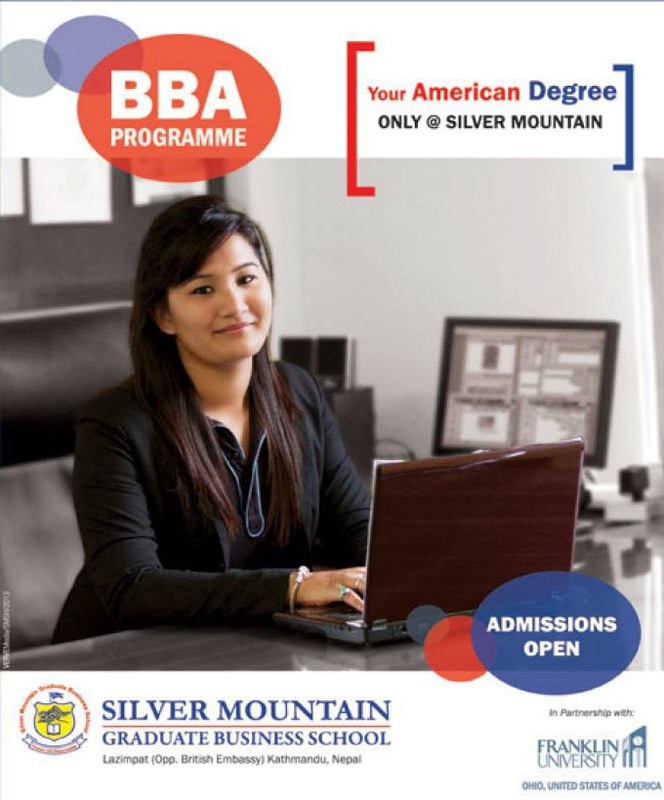 Silver Mountain Graduate Business School (SMGBS),the premier and first American Business Management School in Nepal,announces admission open for BBA program in partnership with Franklin University,USA. Founded in 1902, Franklin University is the third-largest private university in Ohio,USA.The main campus of Franklin University is located in downtown Columbus, Ohio. The university also operates locations in the cities of Beavercreek, Dublin, Delaware, Westerville, and in Indianapolis, Indiana at Castleton. > First and only one college to offer accredited American Bachelor's Degree in Nepal. > Franklin University's prestigious Degree. > The curriculum developed by Franklin University. > Staff from Franklin University. > Franklin University-over 100 years of experience. > Credit transferable to various 12 universities and colleges abroad in 10 countries including USA, UK, Australia, Netherland, Singapore, Italy and Cyprus. 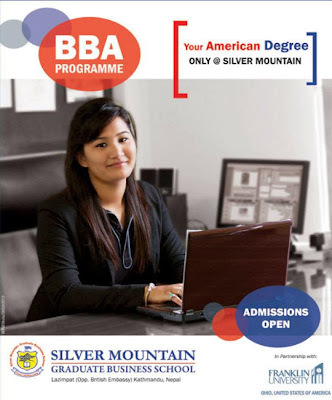 > First college in Nepal, approved & equivalent by T.U for its BBA & BHM programs. This four year program is designed to emphasize the importance of operational management within the context of commercialism. On the completion of four years, student receives a BBA Degree. > A minimum 45% score or 2 CGPA in the prerequisite program. > Performance in the college admission test,interview and presentation. Interested students for SMGBS's BBA program can FILL UP FORM in the link below for further information regarding course, career opportunities, placement and SCHOLARSHIPS.